WAIT: Before You Leave, I've Got Another Option For You That May Suit You Better, Still Giving You Unlimited Automated Content, Minus Monthly Fees. Your Viral Loop Sites Will Be Up And Running Soon, Ready To Make You Money, The Clever Bot Module Let's You Set Up Regular Targeted, Automated Posts To Help Your Site Stay Fresh & Keep Members Engaged! 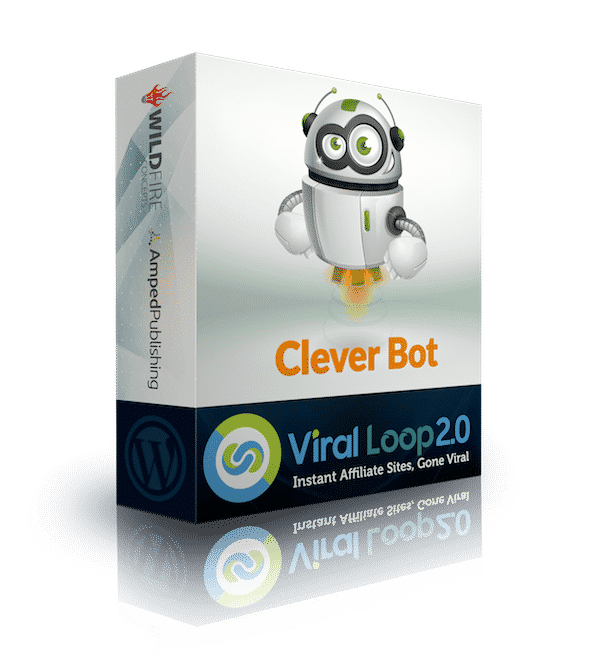 The Viral Loop Clever Bot module is automatically installed on your website when you upload the Viral Loop theme and is activated just moments after. This Clever Bot module will be unlocked, allowing you full control to create your own automated posting campaigns. Clever Bot let's you create and post videos, images, articles and more - on multiple user accounts - so your site instantly looks incredibly fresh, full and super engaged with VERY targeted content posted automatically according to your settings. You CAN unlock Clever Bot at a later date, but the price will be dramatically increased, so take advantage of this low price AND use it on as many Viral Loop websites you want too! This is the LAST time you will see this offered, other than inside of your Viral Loop theme - at a much higher price. Did You Miss The Video Before? Have A Look To See How Easy It Is To Set Up Great, Automated Content With Clever Bot. P.P.S. This is not compulsory, but highly recommended. It will help kickstart your sites quicker and easier - and keep the content flowing so you can focus your attention on other things. P.P.P.S. You will be charged $27 for full access to the Clever Bot module. There are NO extra charges and NO monthly fees.